This poster set is a little easier on the eyes than the polka dot background version. It has a simple black outline frame putting the emphasis on the contents of the page. Posters include title, title page, author, illustrator, front & back cover & more. 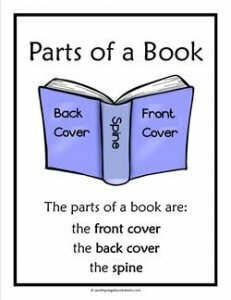 Please go to the main Parts of a Book page to see all the worksheets in this category.